There are millions of takers of rubies in this world. People love these deep-red companions for the warmth and luxury that they exude. No wonder why natural rubies command extreme prices and outpace other gemstones from the race of exclusivity and expensiveness. 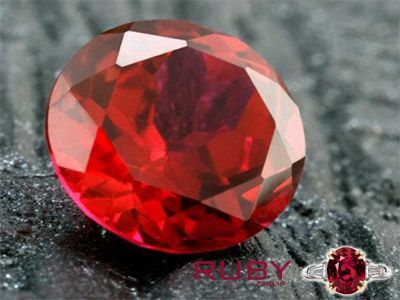 The July birthstone, the natural ruby stone is a variety of mineral corundum. The gorgeous red color which this gemstone carries comes because of the presence of the traces of element chromium. Such is the magnificence of this element that the higher the chromium content, the stronger is the color red in the gemstone. There are various settings in which a Manik stone forms. While some are created due to metamorphic rock formation like amphibole and marble, some come by transforming the pre-existing rocks. However, some of the highly regarded rubies are formed in marble. These rubies are created when heat and pressure act on limestone. As these marble formed rubies lack iron and have a greater concentration of chromium, they may even fluoresce red when seen under the ultraviolet light, which may further intensify the color of these stones. 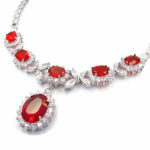 There are various color tones in which ruby gemstone are available. From orangey red to purplish red, you can find different hues to suit your taste. But, it is believed that the finest rubies carry a pure, vibrant red hue to a bit of purplish red. Associated with love, passion, and royalty, a ruby stone is a thing of beauty. Its rarity makes the stone even more special for gem lovers. Now, let’s take a look at some of the sources of rubies. When it comes to a source that has given the world some of the finest ruby gemstones ever, it has to be Myanmar. Also called Burma, Myanmar has been a renowned producer of rubies since the fifteenth century. It is the Mogok area in Upper Burma which has produced some extremely expensive varieties of rubies that exhibit a vibrant red color, often containing light-scattering inclusions along with gleaming red fluorescence. When embedded with these gems, jewel pieces come to life. Apart from the Mogok area, the Mong Hsu region is another famous producer of rubies since 1991. The region has been providing high-quality rubies used for commercial purposes for decades now. While the deposits at both the Mogok and the Mong Hsu regions are marble hosted, at present, rubies that are sourced from these areas are usually heat treated to enhance the color of the gemstones. Kenya is another region which is known for its high-quality ruby stones. The John Saul mine, located near the Tsavo-West National Park is the prominent producer of rubies in Kenya. While finding extremely good quality rubies from this region is a rare act, there have been cases where Kenyan rubies have resembled the ones found in Myanmar. As Kenyan ruby mines are largely marble-hosted sites, the rubies found here are high on chromium content and low on iron content, which gives them the wonderful fluorescence that sets them apart from the rest. In this day and age, the rubies sourced from Kenya are often heat treated to bring out an excellent color. 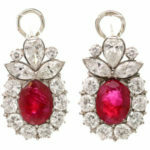 The ever famous Vietnamese rubies first came into the world’s notice in 1983, when these were discovered in Luc Yen. This mountainous region of Vietnam is said to produce ruby stones that are equivalent to the rubies from the Mogok area of Myanmar. Possessing a fine red to purplish red color, these gemstones make a treasured possession. Mozambique is one of the world’s most preferred sources of the Manik stone. The region provides a wide range of high-quality gemstones that are quite similar to the rubies from Myanmar’s Mogok region. Now the mines at Montepuez are one of the world’s most important sources for the July birthstone Ruby, yielding high-quality specimens that have been compared to rubies from Mogok. Apart from the locations listed above, there are many other renowned sources of rubies that include regions like Thailand, Sri Lanka, and Tanzania. While Thailand’s ruby deposits are almost exhausted now, Sri Lanka is much more famous for its production of premium quality sapphires, and the ruby deposits in Tanzania are not as developed as those of the other regions. Difference Between Translucent And Opaque Ruby Gemstones?